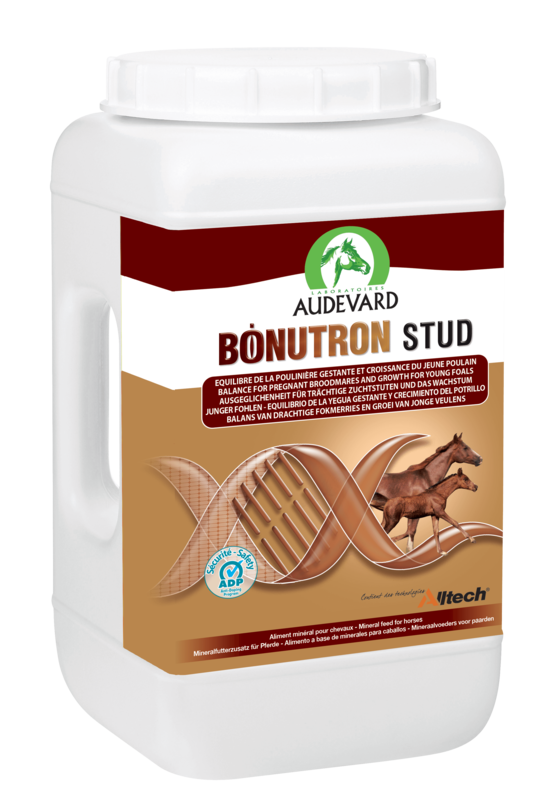 Bonutron Stud is a premium quality supplement for broodmares in their last 3 months of gestation; whilst lactating & foals during their first year of life. It contains 30 vital micronutrients, to ensure that the foal develops correctly in utero & when born. As well as vital vitamins & minerals, it contains amino acids, antioxidants & essential fatty acids (EFAs), to support optimal health in both mares & foals. 1.5 kg - Lasts up to 50 days in foals under six months. 3 kg - Lasts up to 100 days in foals under six months. 9 kg - Lasts up to 300 days in foals under six months.